We tend to think of the elderly in regard to this topic. However, all ages are at risk of being disabled due to accidents and disease. The cost of being disabled can be great when you consider the loss of occupational income and the required expensive care that may be needed. With those somber realizations, let’s discuss what we can do to hedge the effects of this. 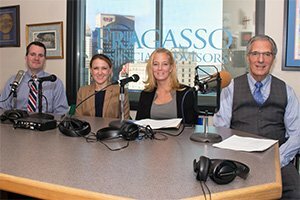 Tune in to hear from Nora Gieg-Chatha, an elder care and disability attorney at Tucker Arensberg and Christine Robinette, our client experience manager as they discuss the importance of disability planning in your financial plan.